What I love about this dish – is it is out of the world easy and simple as it can be whipped together. You can choose to make your our homemade pesto & cheese from scratch or buy from the store. My on the go ingredients for this recipe is the black bean pasta from Trader Joes, vegan store bought pesto from Whole Foods (feel free to use what you can find locally – I recommend trying to stick to a dairy-free pesto if possible), and Kite Cheese Soft Fresh Vegan cheese. One of these days I will post recipes to make pesto and soft almond cheese – but my goal for today is to show you that easy & simple cooking doesn’t have to be all day in the kitchen as you can adjust to your lifestyle. 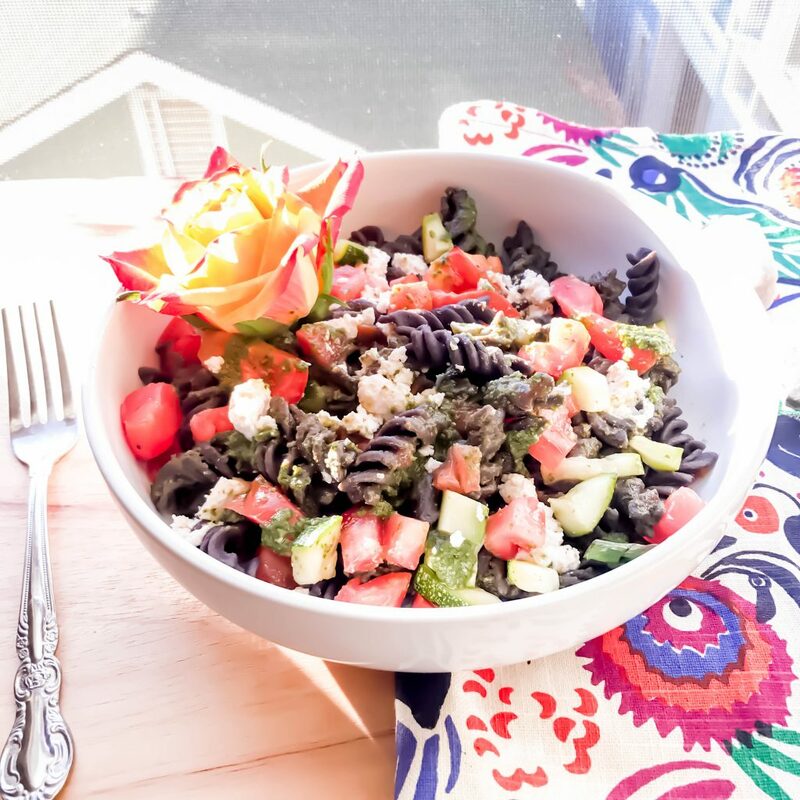 With the black bean pasta alone you are gaining so much plant-protein & fiber without losing the joy of having pasta. 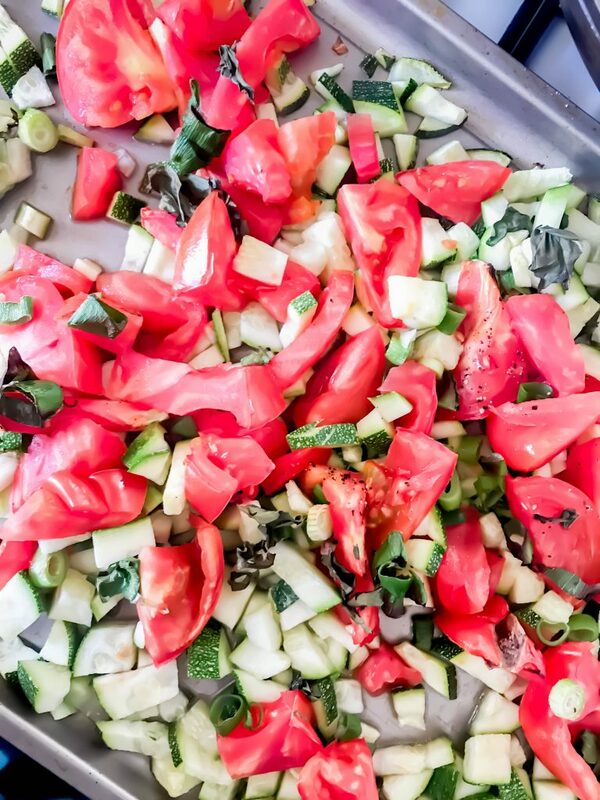 From my kitchen to yours…have fun and enjoy this delicious & nourishing meal. I used zucchini – green onions, heirloom tomatoes and fresh basil (pink sea salt and black pepper to taste sprinkled on) to chop and roast. I roasted at 375 degrees for about 20-30 min until the veggies were fragrant. 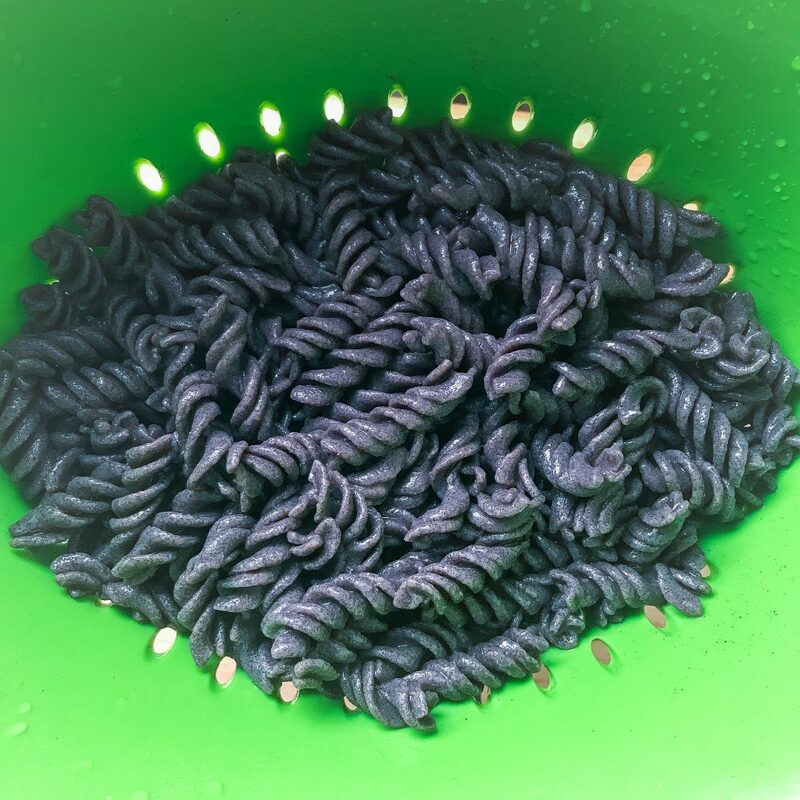 boil one sauce pan with filtered water and a pinch of salt – until boiling – once boiling add in your black bean pasta. once soft take the noodles out to strain. pour in strainer to drain out all of the water. 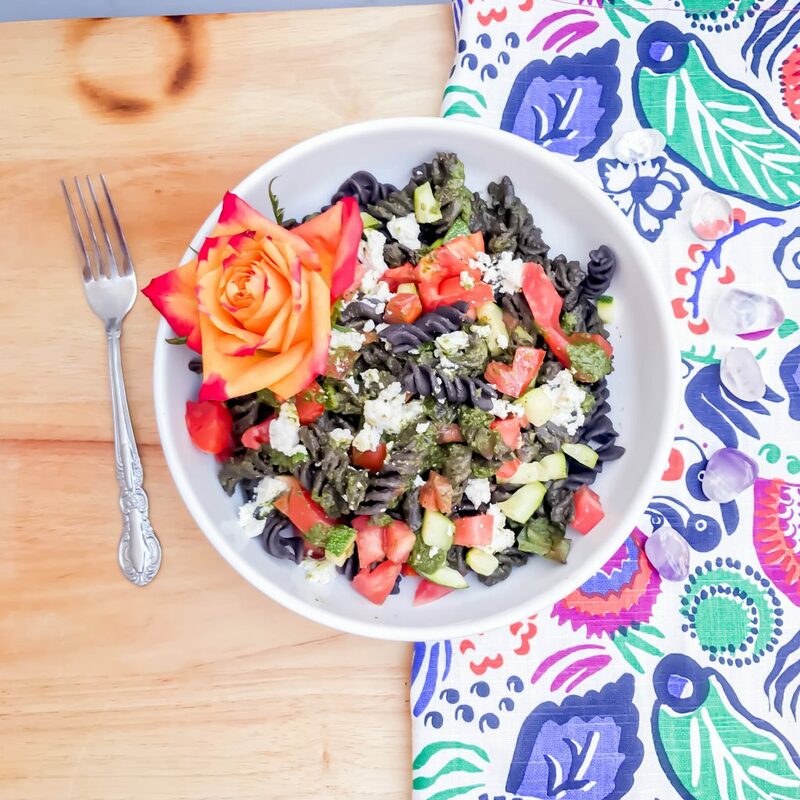 put the black pasta into boil or plate – pour the pesto on top and mix until you reach the desired consistency. top with veggies and pieces of your soft almond cheese. so easy & simple!